Are you dinner parties a little boring? You could jazz things up with a set of Musical Glasses. 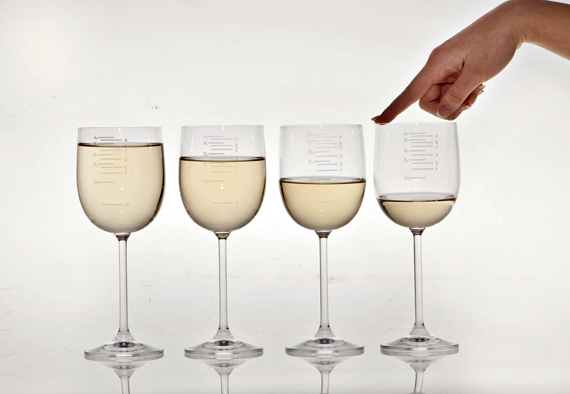 These wine glasses become playful instruments with some work. The graphics on the glasses are musical notations that correspond to the level of the liquid inside, and will accurately produce the correct note when the user runs their fingers along the rim of the glass. A full set of 12 glasses will cover a complete octave on the keyboard. Just fill or drink to the appropriate mark to start the liquid orchestra…it’s just a little more mature than flip cup. The only version I could find of these costs 39 POUNDS STERLING, with an additional 20 for shipping to the US. If you could direct me to a US distributor, I’d be eternally grateful. UncommonGoods also carries these glasses.